The word “Mantra” in Indian scripture means a sacred utterance, mystical sound, or a syllable, word, phonemes, or group of words believed by some to have psychological and spiritual power. Mantra may or may not be syntactic or have literal meaning; the spiritual value of mantra comes when it is audible, visible, or present in thought. Mantras come in many forms, including verses from Rigveda, for example, and musical chants from the Samaveda. They are typically melodic, mathematically structured meters, resonant with numinous qualities. Sometimes mantras could be literally meaningless, yet they are always musically uplifting and spiritually meaningful. 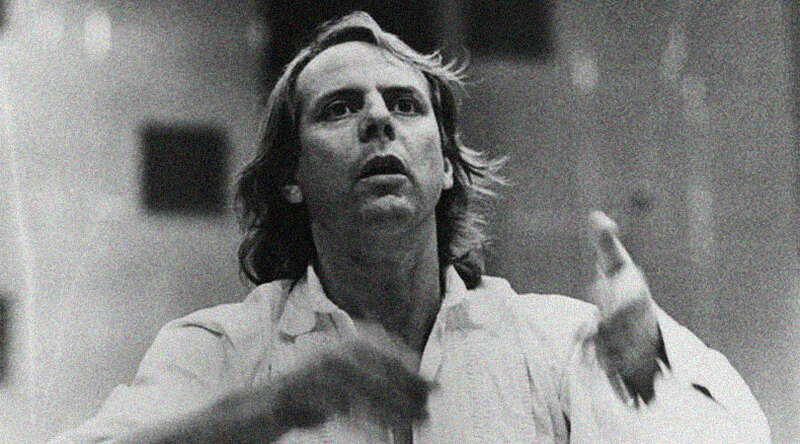 It would appear that Karlheinz Stockhausen has taken the form of this leaf from the sacred Indian texts and combined it with his own Webernian approach to his (Stockhausen’s) own structurally melodic morphological schema. 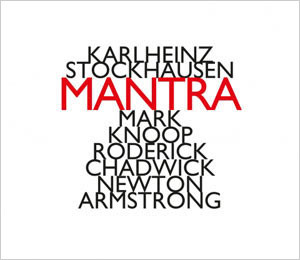 Karlheinz Stockhausen could not have picked a better composition to signal his dramatic re-entry into his intricately structured approach to musical architecture: a serialism to which he now added a sort of mandala—a schematic hymn—made up of 13 shorter pieces that are really the mantras that he refers to somewhat holistically on this record, Mantra. As might be seen the strictest definition of the term, “Mantra” is a word, phrase or verse. Thus it might be more appropriate to liken the various bars of this piece to the melodic utterances or mantras, which leaves us in a better position to enjoy this remarkable work as an elaborate mandala. This, of course, might not have been Karlheinz Stockhausen’s intention at all, but it is more punctilious to see it as that. This piece is ambitious in scope; its individual segments or bars undertaken with the greatest precision and passion for trying to convey to 21st Century ears the boundless treasures of sublime music in the most melodic of terms. The theme of the Mantra is stated in the opening bars of the piece and then devolves through sets of 13 vocalizations. This is exquisitely performed by the two pianos played by Mark Knoop and Roderick Chadwick. The sections are composed with varying elaborations arising out of the theme—the mantras—that constantly reincarnates itself in music that delights in its simplicity and virtuosity, while bringing a vast dynamic and tonal palette to bear on the more subtle aspects such as those delicate colourations in the charming sets of miniature incarnations of the melodies which comprise Mantra. For here are delicate droplets of sound and spiritual minimalist ambience in a work that should be considered central to Karlheinz Stockhausen’s vast oeuvre.